The Ivorians’ love for meat is richly represented by most of their meals, which takes us on a journey of taste to Cote d’Ivoire. This is a simple broth cooked using Canari (earthen clay pot) on low heat to boil chicken, pork or beef and vegetables without water. Sometimes, banana leaves are used to base the pot, adding natural flavour to the broth. In the open-air restaurants (aka Maquis) fast growing across the country, the menu list is not complete without this delicacy. It is part of the Ivoirians’ daily meal, readily available and a must-have for tourists to truly experience Abidjan. As they say on the streets of Abidjan, In-i-che! 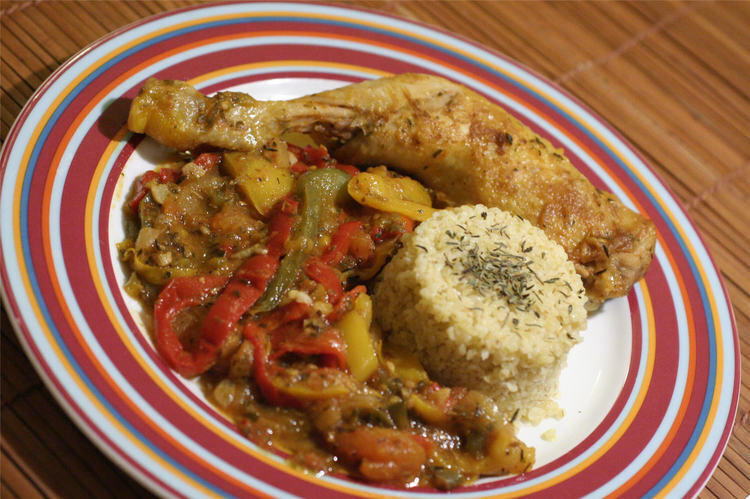 Let’s explore this delectable Ivorian Cuisine. Strain the Chicken fillet of excess water and pour into the pot, add tomatoes, onions, carrot, green pepper, scotch bonnet, seasoning cubes, garlic and salt to taste. Top it all with olive oil. Set the sealed canari on the stove on low heat and leave for about 25 mins to 30 mins. Voila! Our broth is palate ready. Foufou - a cassava pudding which is sometimes mixed with unripe plantain or Pounded Yam can be served as a side dish with the broth. As an accompaniment, pasta can also be served with a full flavoured -drink like Zobo or ginger drink or a bottle of velvety red wine.